I do, vampire weekend. I do. Today at work I sent an email to some of my office that turned into a surprisingly colorful discussion about Oxford commas. (Oxford comma, serial comma, whatever you call the comma before “and” in a list or series. Capiche?) I was raised on MLA Style, where one puts the comma before one’s “and.” (No ifs, ands, or butts.) But AP Style, Drury’s official publishing guide, opts not to Oxford comma, except where it’s absolutely necessary for clarity. Observe: “I went to the mall with my parents, Elvis and Cher. What?! Elvis and Cher are your parents? That doesn’t make sense!” No. It doesn’t. Bad example. But you get it. I argue that the O.C. is always helpful. Why quibble over when it is or isn’t necessary. Why not just keep it in? “Read, every day, something no one else is reading. I think about my day, and my small scale fights for commas and justice, and I feel okay that I feel different like this. Ununanimous. Giving a #%*@ even when other people might not. Do you ever think about commas, readers? Maybe you don’t, but you can rest easy…(cue comic book hero music)…knowing there’s somebody out there who does. There is magic in the world. Call it science. Call it religion. Call it color. Welcome to the new look, readers! The blog is more colorful, and hopefully so will be the posts…though I can’t guarantee they’ll all be as colorful as this one. Color has been popping up a lot in my life lately, and I’m feeling inspired. What’s your favorite color this season? 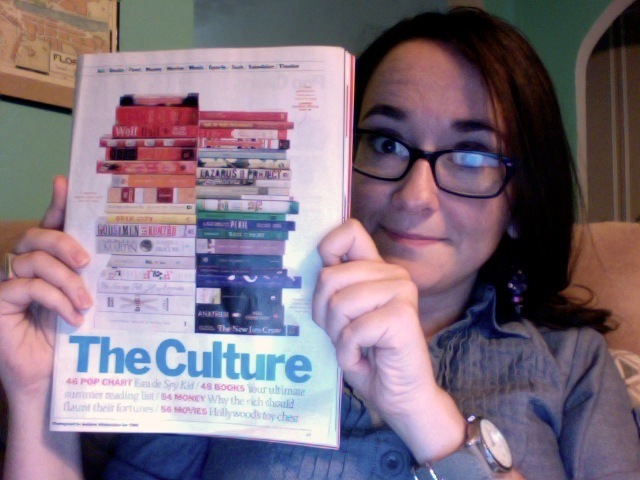 1) TIME mag summer book feature, c/o my delightful coworker. 2) Summer fashion feature in the newest BAZAAR. 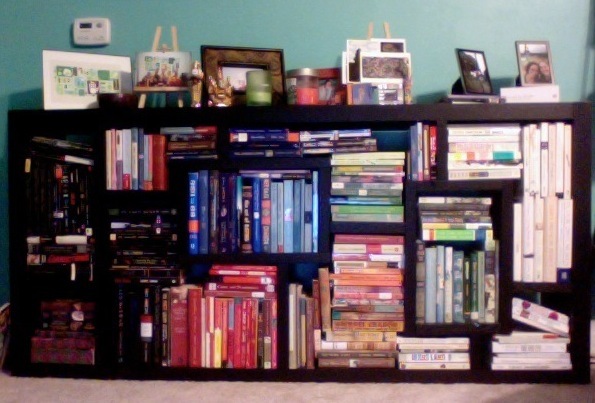 3) My new bookshelf rainbow. Easily the most fun I’ve had in a while. This SNL clip was recommended to me this weekend, and it is fully the delight I’d hoped for. Jon Hamm. Michael Buble. Singing. Puns. Comedic drama. Suits. Jon Hamm. (worth repeating.) Most adorable sketch ever.